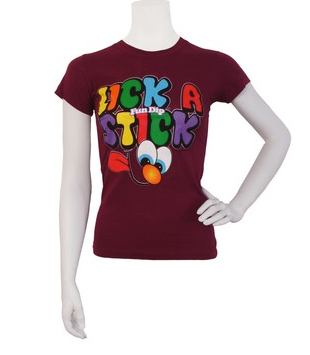 Who remembers Pixy Stixs, and Lik-A-Stixs? 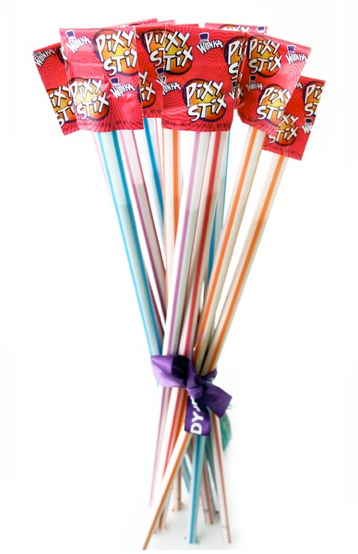 Pixy stixs are crazy, it’s just flavored sugar in a straw, perfect for immediate diabetes delivery, and aspiration…Really, these are so odd, I understand why sugar-crazy kids eat them, but I do we really need the yard-long plastic version? I knew some kids who were so crazy for sugar, that they ate dry Jello, that’s right, Jello! It was under the excuse of that it was for swim team and they wouldn’t get cramps if they are it and then swam a double IM. Yeah, whatever. I don’t recommend eating dry Jello, it’s akin to drinking vanilla for a buzz…too much pain for too little pleasure…. 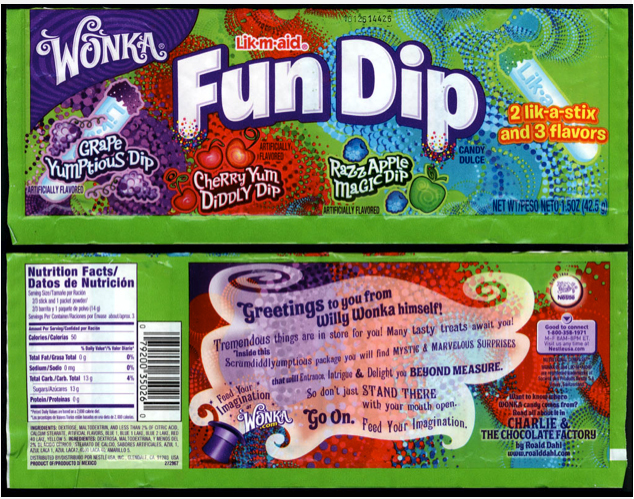 For a complete history of Fun Dip, visit collectingcandy.com where I got the photos. 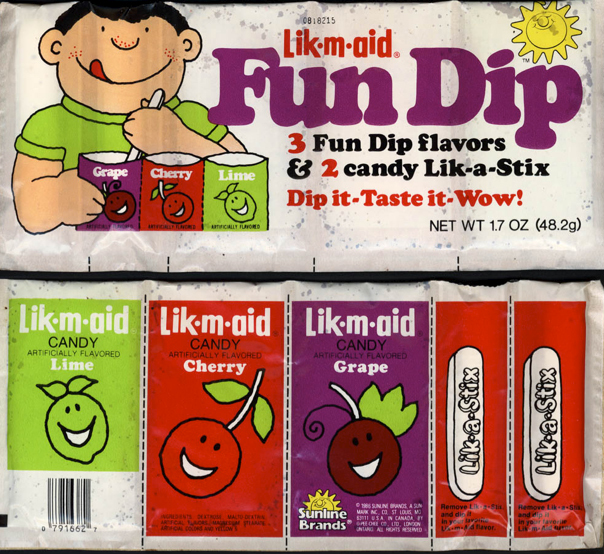 Posted in Childhood memories, Fruity. Bookmark the permalink.